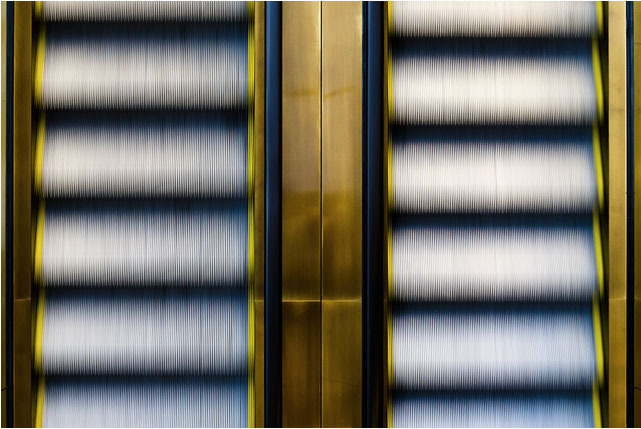 Recently, I’ve come across several interesting photos of escalators and after doing a search found a whole group on flickr. 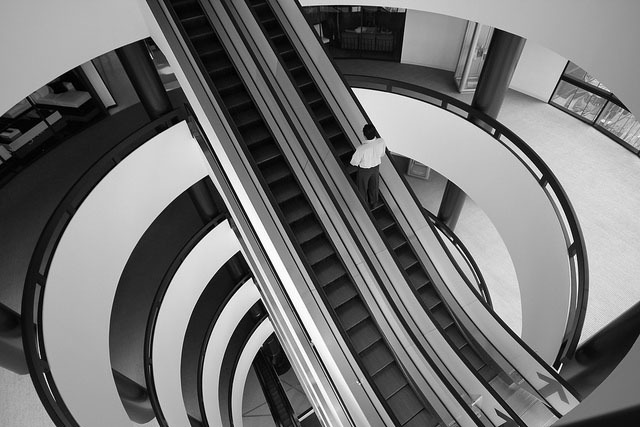 It was hard to select just a few photos (who knew there could be so many great shots of escalators? ), but I went for a variety of angles and styles. This entry was posted in Architecture, Art, Photography, Stuff We Like. Bookmark the permalink. They’re fascinating when you see them together – I always find them rather irritating to use, though – they promise much more than they deliver in terms of making life easier. I don’t know, Richard…that escalator in the Hearst Building (third photo from bottom) looks like it spares your legs quite a bit of effort, while offering a pretty impressive view.